New customer for sure !! I saw Woodshed Roasting Company's coffee at my local Hannaford. I was curious to try a locally roasted coffee. 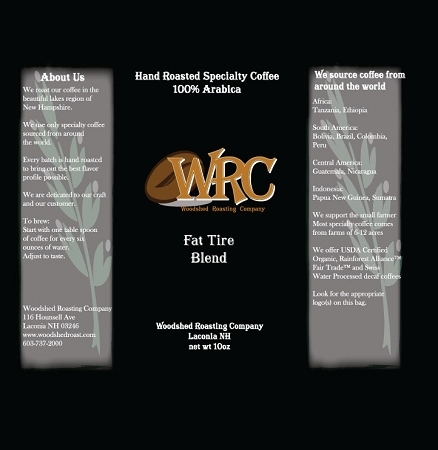 Fat Tire Blend is the first product I have tried. I am so impressed with the taste that after my first cup I had to look up their website. It's nice to support a local company that cares about providing a fair trade and organic coffee. This blend, plus the Winnipesaukee Weekend Blend, made my hubby a coffee drinker! Smooth and rich, it's delicious hot or cold. Delicious blend! I love woodshed roast! This should get 5 stars for the name alone, but truth is, it is a great cup of coffee.